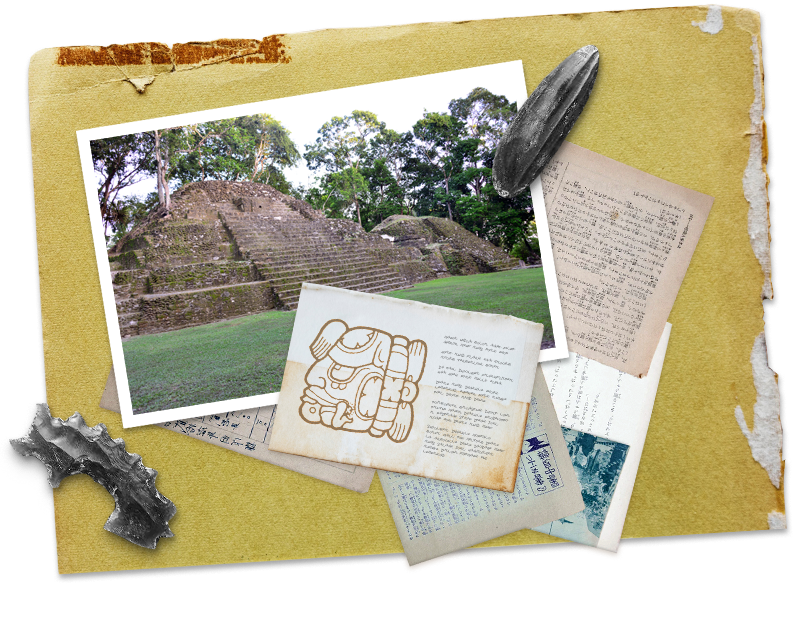 Cryptic documents written in the 1930s hint at a major find at Cahal Pech. Assuming they are real, it appears an item of historical significance was found — and then perhaps hastily buried to protect it. With such threadbare details, can the pieces be sewn together to confirm the item existed — and possibly identify its location for retrieval. We've placed one of our own on an excavation at Cahal Pech. However, it is not easy going. Our contact appears to have aroused the suspicions of one of the expeditions leaders. And the lead archaeologist is acting strangely. We need assistance - someone with an objective perspective and critical mind to decipher what clues exist. Can we count on you? South of San Agnacio in the Cayo District of Belize, the hilltop Maya citadel of Cahal Pech guards the confluence of the Macal and Mopan Rivers. Spread over 16 square kilometers, the site consists of several plaza groupings and 34 large structures including pyramid temples, palaces, mounds, residences, and two ball courts. The tallest structure stands 24 meters tall and served as a temple. Fig. 1 — Obsidian items are just a few of the significant finds recovered from Cahal Pech. While several structures date to 600-400 BC, Cahal Pech’s heyday was roughly around 600-800 AD. Around 850 AD Cahal Pech was largely abandoned. Sometime in the 1930s, the site was rediscovered although records are scarce. In the past several decades, the site was periodically investigated by archaeologists and academics. The list of significant finds includes obsidian and jade carvings, marine shells from the Caribbean, elaborately crafted ceramics, carved stela and dozens of meticulously laid out burials. Many artifacts are housed in the Belize Department of Archaeology. During quiet periods through the 1960's and 1970's, looters pillaged the site on multiple occasions - destroying clues to the site’s background. In the 1980's, Jaime Awe, Director of the Belize Institute of Archaeology, assumed control of the site. Since that time, the Belize Valley Arachaeological Reconnaissance Project (BVAR) in partnership with American Foreign Academic Research (AFAR) continued excavations around the site. During the course of this adventure, you will receive one (or more) replicas or reproductions of significant items connected to the site created by skilled artisans. Shipping costs will be added based upon the adventure purchased and the delivery location. Our goal is not only to entertain, but also to educate. With this in mind, each adventure is based upon a real site and the history is interwoven into the mystery. There is a dash of fiction to ensure the story ties together – and also because there are always gaps in our understanding of a specific location or item. With the final delivery of each adventure, a reveal is included. This reveal identifies the line between fact and fiction. 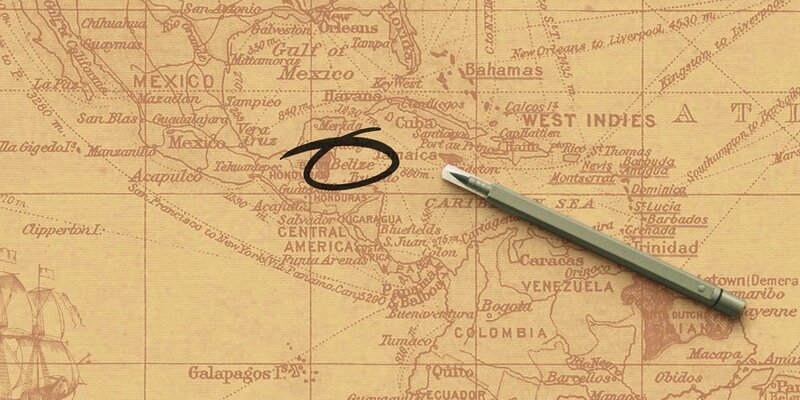 As an epigrapher (that is, a specialist in the study of ancient inscriptions), I consult with archaeological projects in Belize, Guatemala, Honduras, and Mexico. I record painted and inscribed hieroglyphs in photographs and line drawings for archaeological reports, and I translate hieroglyphs uncovered during excavations. Not all Maya signs are deciphered yet, so each new context frequently sheds light on long-standing mysteries. My research focus is on the formal development of Maya writing over the two thousand year period of its use, a topic known as paleography to specialists. But the reality is that you never know what a new inscription will say, and one day you may be studying ancient mythology, the next day political intrigue and assassination. It keeps you on your toes! What is the most amazing find you’ve ever uncovered on an archaeological site? At my first archaeological dig in the Maya area, in Comalcalco, Tabasco, Mexico, we uncovered a fairly humble burial in a temple complex. This wasn't a king's burial, or even a member of the royal family, but rather a priest. He was middle-aged and had been buried with his priestly effects: stingray spines (for bloodletting), stone and crystal spheres (for divination), needles and cutting tools (for healing the sick), all in a much-deteriorated jaguar-skin bag which likely would also have held incense and even a book. Most fascinating of all, the burial contained a series of inscribed hieroglyphic texts spanning the last twelve years of the priest's life, telling us his name (Aj Pakal Tahn) and detailing his priestly duties, including the annual ceremonies he conducted on the Spring equinox (March 21-22) to ensure the coming of the rains. 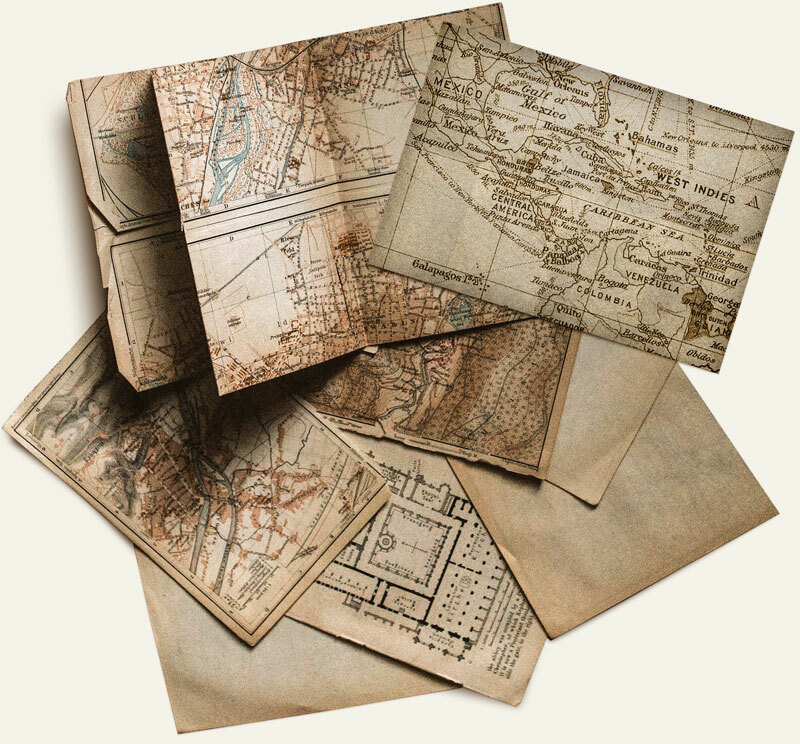 What historical mystery do you wish you could solve? The largest city in Mesoamerica during the Early Classic Period (ca. AD 200-600) was Teotihuacan, in Central Mexico, and archaeologists have learned it dominated international politics in its heyday, establishing fortresses in far-flung parts of Mexico and Guatemala, and meddling in the affairs of its neighbors. It may even have conquered Tikal in AD 378. Many historical mysteries are undoubtedly waiting to be revealed in its enigmatic writing system, but their writing is unfortunately still undeciphered. We don't even know what language or languages it recorded. More than anything, I would love to be able to read the texts of Teotihuacan. Rumor is that Puzzles from the Past is a front for the activities of an organization simply known as “The League.” Any truth to the rumor? There are always rumors. Only a few of them are ever true. Are you saying you are not involved with that organization? I’m involved with the excavations at Cahal Pech and the organizations working at that site. I have no further comment. With the purchase of every PFTP Adventure, PFTP makes a contribution to preserve the specific archaeological site in order to ensure these historically significant locations can be enjoyed and used as educational resources for ourselves and future generations.